I might run a 3.5-hour marathon on the road and then take 6 hours on a tough trail marathon. So many! 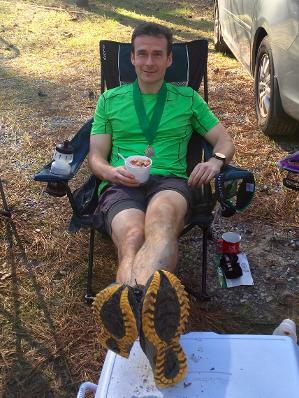 My first marathon was the first Georgia Marathon. 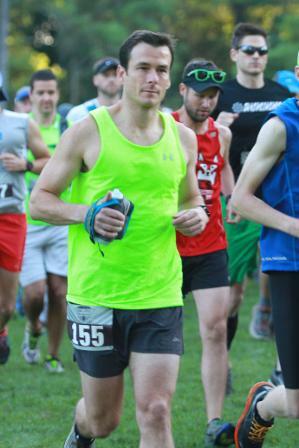 I also love trail marathons, like Deadwood Mickelson or Grand Island. The End of the World Running Club by Adrian Walker. It combines two of my favorite reading topics: running and dystopia! Favorite running books include Once a Runner, Born to Run, and Running Through the Wall. My friends. I love having great friends who sign up for the same crazy races and then help each other through the training. Again, so many! One of my favorite race memories was at a super tough trail run with friends. We got separated and recombined in all sorts of ways throughout the entire race but right before the finish, we all found each other one last time and crossed the finish line together. To pace a time group is to share in the experience of new friends accomplishing goals. For every person who succeeds, it’s that many times more satisfying than doing it alone. Running with my son for his first half marathon. Even though I’ll keep us on our time target, I’m pretty relaxed and easy-going. You can talk, question, listen, act crazy, hang back, harass, cry, or just ignore me, and I’ll be right there with you. It’s all good! Run your race. The pace group is just another tool to use on your way to your finish. If you’re feeling great, leave us. If you’re feeling terrible, slow down. If we’re helping, hang with us. 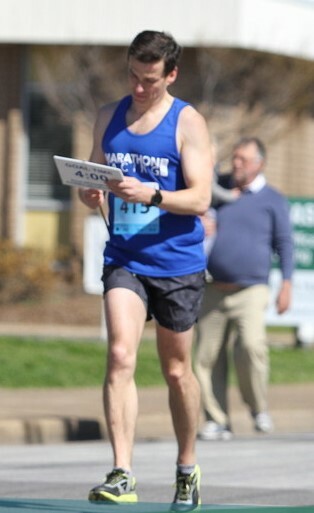 Any marathon finish feels great. Big challenges come with big payoffs. If it scares you and excites you, you should probably do it (as long as it won’t kill you!). Most of that energy goes toward the independent boarding school where I work. I also like doing trail maintenance and volunteering at races.